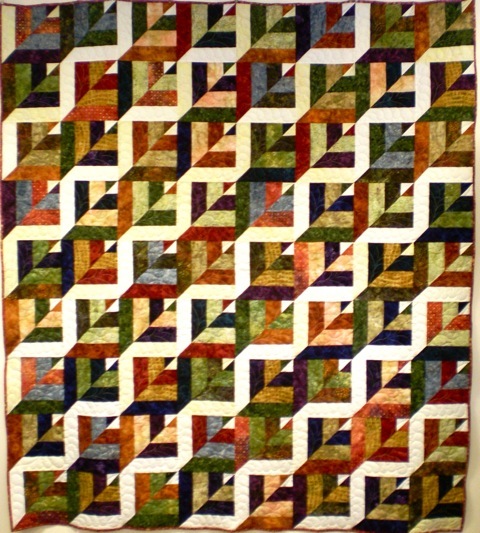 We have news about the 2010 Pumpkin Patch Shop Hop progressive quilt. 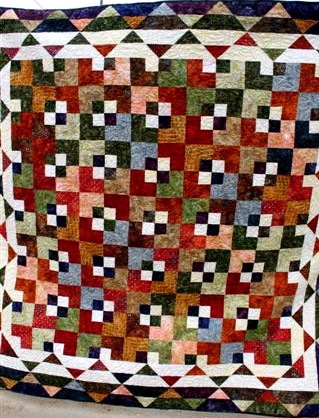 This year, the quilt has SEVEN different options. At each of the eight stores, Pumpkin Patch shop hoppers can purchase batik fat color sets in pre-selected gorgeous fall colors. 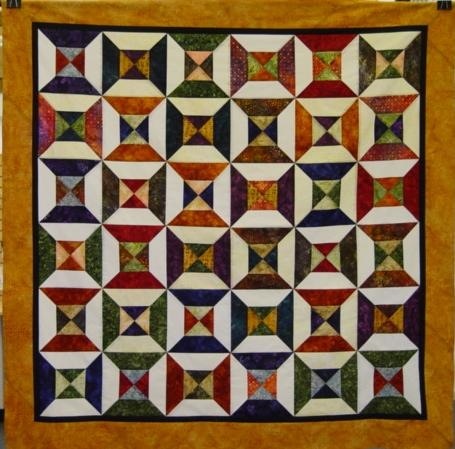 Then you’ll be able to decide which of the seven different quilt designs you’d like to make. At one store, you’ll get the basic cutting and piecing directions. ALL of the quilts start out with cutting three inch strips. 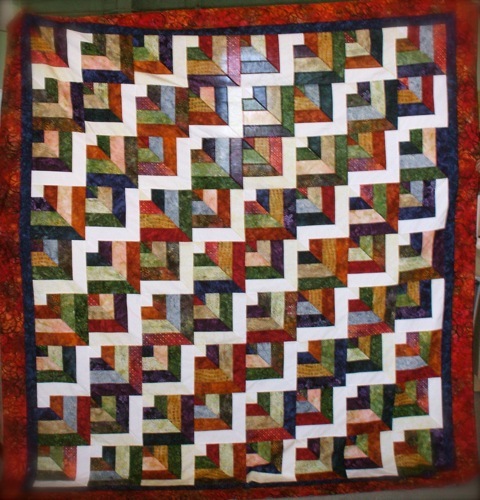 All the strips are sewn together in the same way, and the first step of cutting is also the same for ALL the quilts. 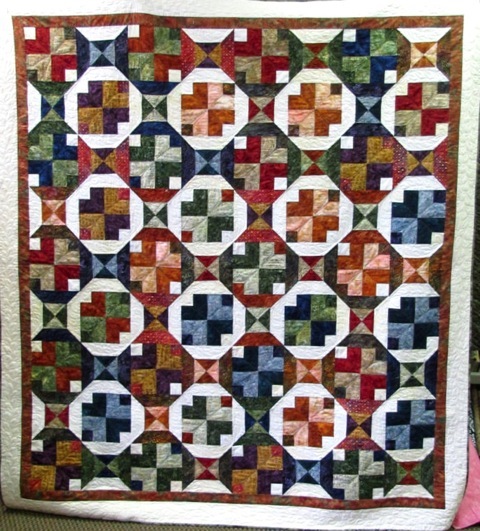 Then it’s a matter of arrangement of strip pieced triangles. 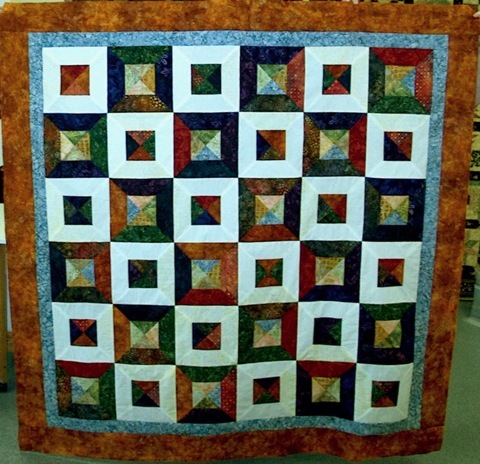 The remaining seven stores will each have a different quilt pattern that uses the basic elements in a different way. We think the concept is very exciting and there is sure to be a quilt design that every shop hopper will love — plus, who doesn’t like batik fat quarters?! Passports are now available with commemorative pin (while supplies last) for just $5!